I enjoy slow cooked meals once in a while and I am sure some of you have those busy days, that slow cooking is the best way to cook. 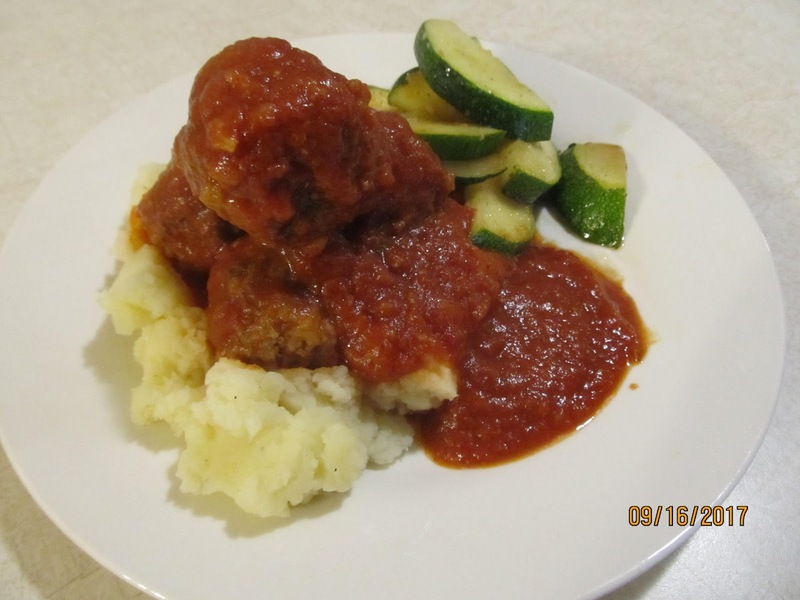 The other day we had just one of those days and since Mark and I both like Porcupine Meatballs, we took out the crock and the prep only took a few minutes and we slow cooked on high for an hour and then on low for 4-6 hours. This is how we made slow cooked Porcupine Meatballs. – Crumble the ground beef. 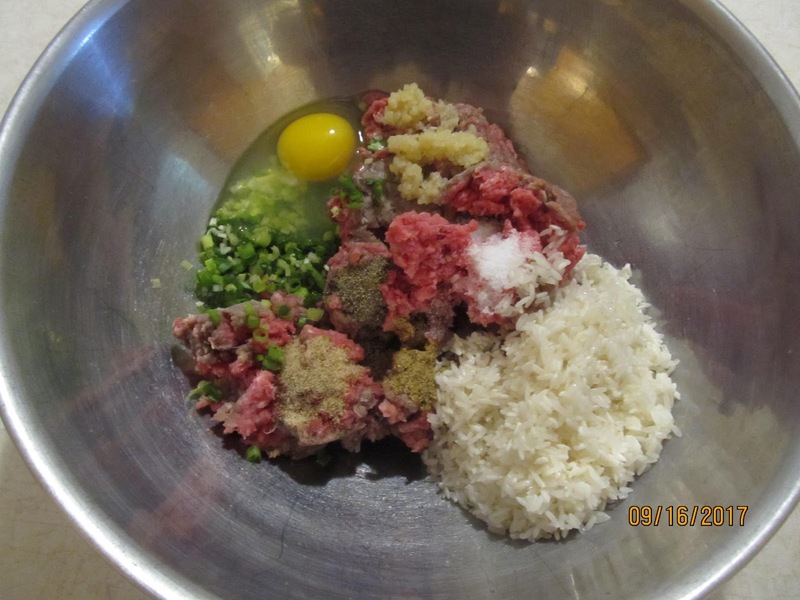 – Add fresh onions, fresh garlic, Salt, celery salt, coriander. – Add the Uncooked rice. Now mix this well, shape into 2inch balls. – Heat the oil in a skillet on medium high. 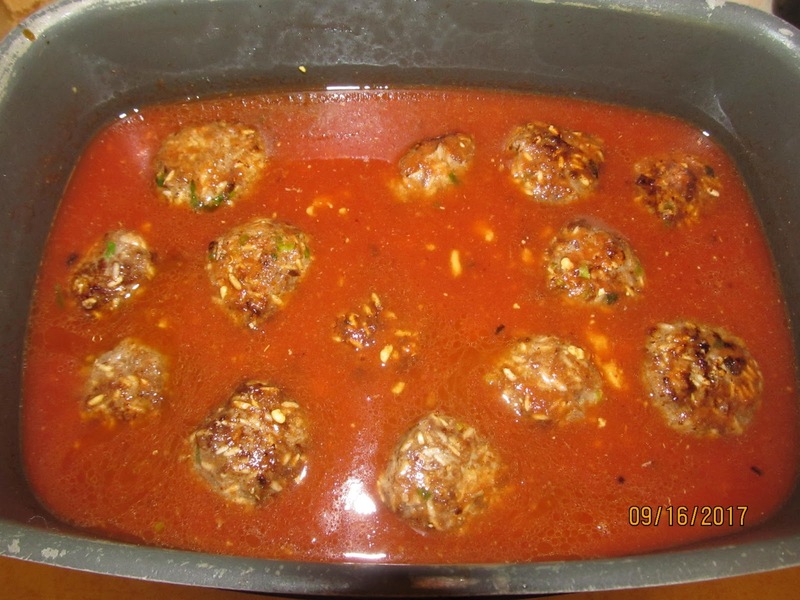 – Add meatballs and let cook till brown on all sides. While those were cooking, I started the sauce for the meatballs. Just add all following ingredients to slow cooker. 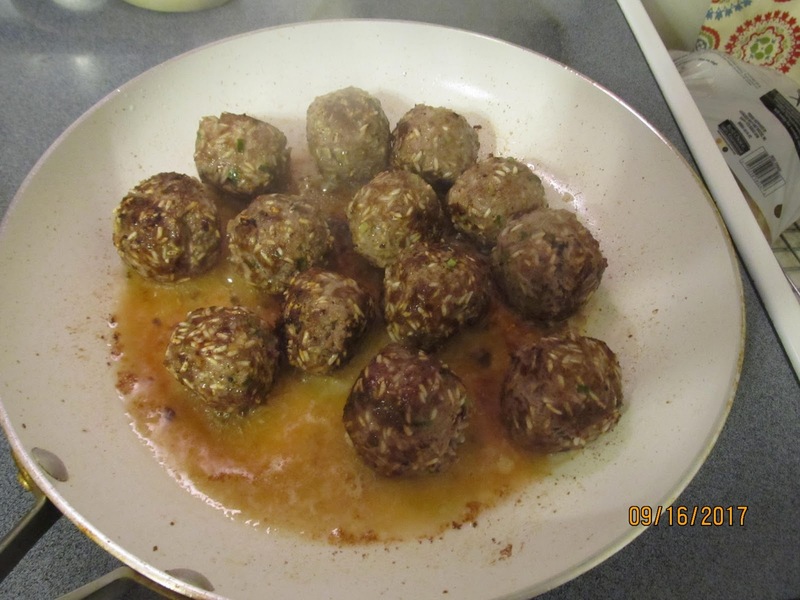 – Stir well and when the meatballs are browned. 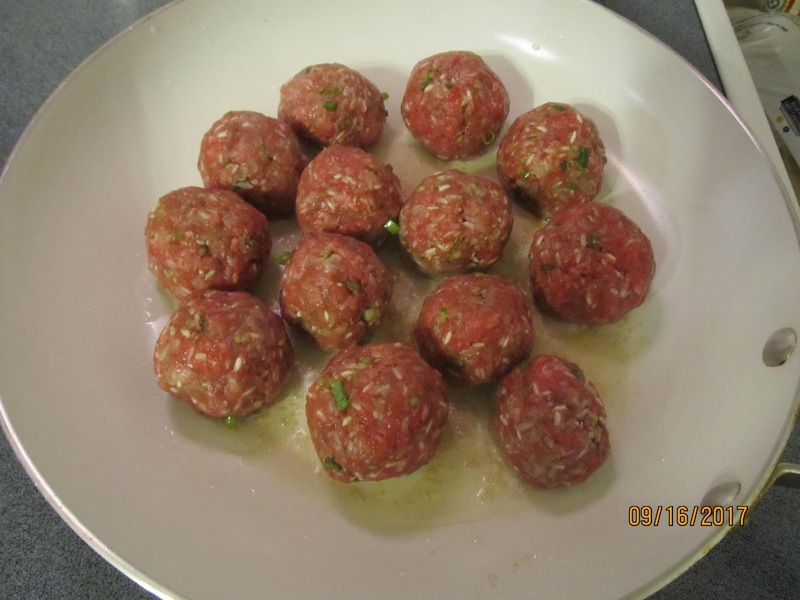 – Add meatballs to sauce in slow cooker an mix to cover meatballs. We cooked for one hour on high and then low for 4-6 hours. 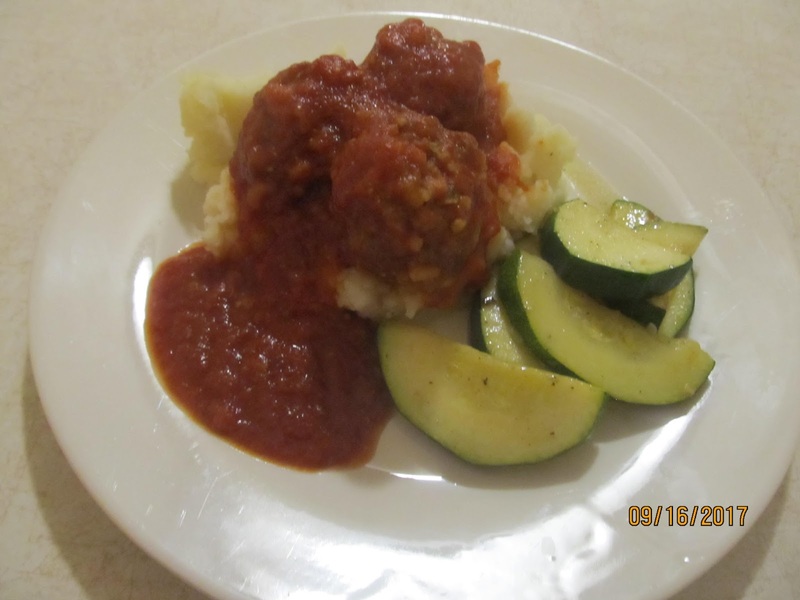 It went very well served with mashed potatoes and saute zucchini but you can also serve over noodles. That’s rather different. Sounds neat. I was worried that it was made out of porcupine meat.